Jared Kushner, a senior White House adviser and President Trump’s son-in-law, lacks the security clearance level required to review some of the government’s most sensitive secrets, according to two people familiar with his access. For the first year of the Trump administration, Kushner had nearly blanket access to highly classified intelligence, even as he held an interim security clearance and awaited the completion of his background investigation. But when White House security officials granted him a permanent clearance in late May, he was granted only “top secret” status — a level that does not allow him to see some of the country’s most closely guarded intelligence, said the people, who spoke on the condition of anonymity to discuss security issues. You have likely seen the acronym “SCI” at some point in a story or discussion about the Trump administration. It stands for “Sensitive Compartmentalized Information,” and the CIA determines who can see this immensely secretive information. 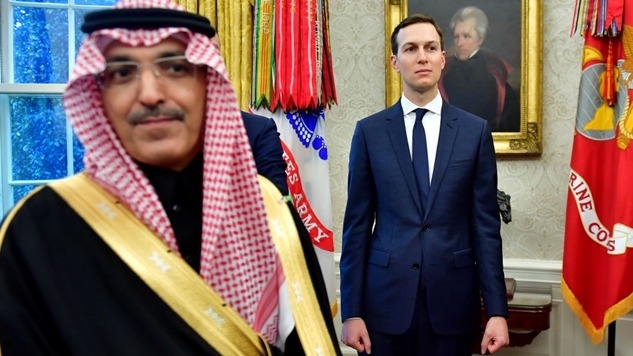 They have decided that Jared Kushner cannot, despite the fact that the multitude of foreign policy tasks given to him by daddy-in-chief require that kind of information to properly execute. Jared Kushner is getting cut off from highly classified information, and it must be due (at least) to his widely-known shady real estate deals which helped lose him his interim clearance before. Welcome to America’s war against its own kleptocracy.